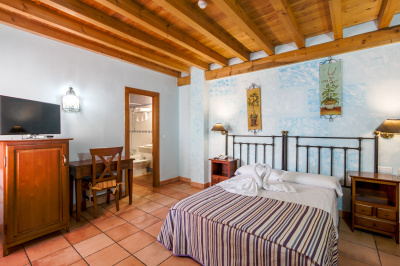 Our fully furnished rooms make living at Abadía hotel as easy as it is convenient. Our rooms with all the essentials, including bed, TV, telephone, kettle, air conditioning, wardrobe and a complete bathroom equipped with a bathtub or a shower, a hair dryer and necessary toiletries. 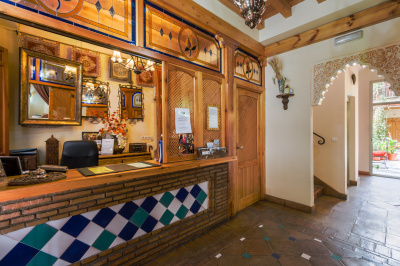 With their comfortable decor, our rooms invite you to rest and relax while enjoying the amenities that we have carefully prepared to make your stay in Granada truly unique. Our hotel is located in the city centre within walking distance of most places of interest. The Albayzin district is only 200 meters away and it takes about 5 minutes to get to the Cathedral and the historical Arabic Marketplace. It’s only a 10 minute car drive to go to the Alhambra palace. The Gardens of Triumph bus stop is only 100 meters away and it’s well connected to the bus station (SN1 bus) and to the airport by the airport shuttle bus. 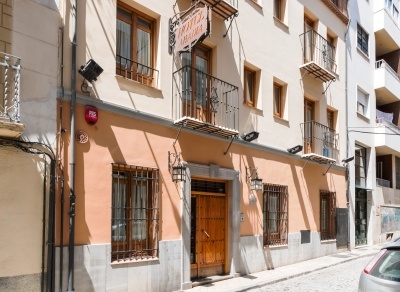 You can also take the C2 bus to go to Sacromonte district, the C1 bus takes you to the most beautiful viewing points of Albayzin and the LAC bus goes to the Granada Conference Centre. You can take the C3 bus near the Plaza Nueva square to go to the Alhambra palace. The reception desk is open from 7:30 am till 00:00 to take care of any queries a customer might have. Please note that the hotel does not accept groups of more than 6 people, due to the limited size of the hotel. We treat our guests individually and in a friendly manner.